Call for Articles – Renewable News, 2019 Winter Edition | Recycle Florida Today, Inc.
blackness visible essays on philosophy and race essays paying college athletes LET YOUR VOICE BE HEARD! It’s time to prepare and submit articles for the next RFT newsletter, Renewable News, 2019 Winter Edition. Increasing recycling results is essential to building a more sustainable environment. RFT members can learn about each-others best recycling practices and innovations through articles in Renewable News. follow site Our goal is to keep our correspondence and sharing of information interactive and fresh. In doing so, our next issue will have an updated format. Articles will be featured directly in the newsletter email, with images and links to full stories. 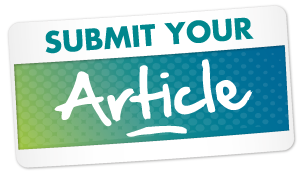 Submit your article today for review! writing with a thesis here Important: Submit your articles in a “ source link Microsoft Word” document format and images separately (not embedded into your document) by the deadline date of http://owjn.org/2264-buy-research-report-writing/ Friday, February 15. For questions email RFT at: info@recyclefloridatoday.org. go Guidelines for Photos or Graphics: Include a maximum of two (2) photos. Each photo or graphic as a separate file attachment, not embedded in a Word document, and not a page full of them scanned together as one file. Resolution of digital photos should be 200 dpi or greater. File formats for photos should be JPG. 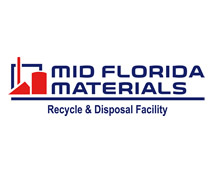 By submission of a photo(s) you are authorizing Recycle Florida Today, Inc. to utilize these images in their newsletters or other association content as well as verifying that you are the original owner. go site Renewable News is a newsletter forum for the exchange of information and ideas among Recycle Florida Today members. The newsletter is published in an online format. Whenever a new edition is published, members receive an e-mail announcement that contains the newsletter. enter site For questions contact Heather Armstrong, Executive Director at: (850) 907-1278 or via email at info@recyclefloridatoday.org. essay zebra viagra northern ireland Submit your article by February 15. Winter Summit 2017 – Registration Open!